Red Hawk is a well-rounded holistic program with an intense clinical focus, program that facilitates living and growth in all areas of the young women we serve. – schools for troubled teens and behavioral counseling centers. At Red Hawk, we utilize the Eagala Model as our framework for all Equine-Assisted Psychotherapy. Eagala is a distinct experience-based framework designed to empower young women to analyze their situations, make connections, and find their own solutions through personal and physical experiences. Eagala clients have reported that they have been able to change and grow more effectively and quickly than through traditional approaches. 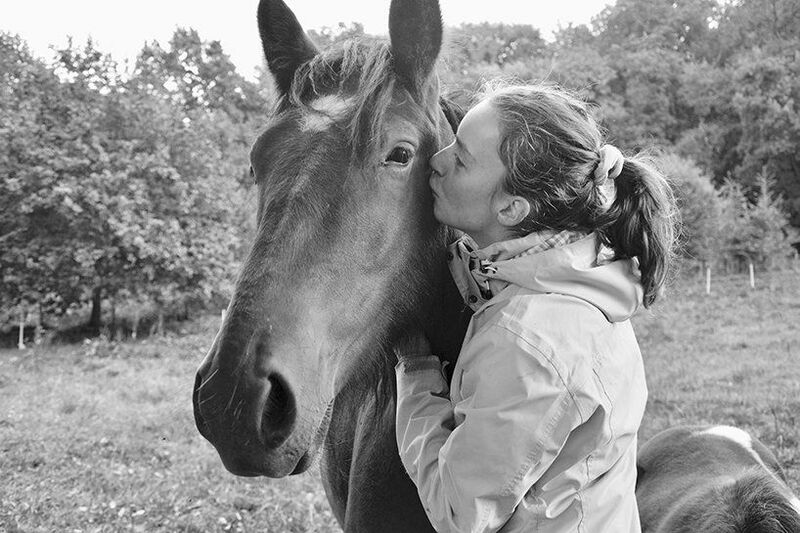 It is possible that Equine-Assisted Psychotherapy can reach clients where traditional therapy cannot. This is a powerful and effective approach that has lasting impact on young people, families and groups. At Red Hawk, we believe in the Eagala Model so much, that we use it as an essential component of our staff training. Equine-Assisted Psychotherapy is one of our most effective and innovative modalities for addressing a wide range of therapeutic needs in adolescent girls. Through interactions with horses and with help from equine therapists, our young women discover and explore behaviors and relationship patterns that have become problematic in their day-to-day lives. The very size and strength of the horses can stir deeply buried emotions while simultaneously affording opportunities to identify and resolve practical matters of communication, empathy and basic interpersonal respect. Interactions with the horses bring up thoughts and behavior patterns that are related to the issues that have brought clients into treatment. We identify these patterns and customize experiential exercises to address each client’s individual needs. For many, teen years are some of the most difficult in life. Their bodies go through changes, relationships become complex, we begin to learn social roles, and more than ever our children are expected to grow up earlier. These changes may leave a teenager feeling helpless, confused and pessimistic about the future. If your daughter is experiencing ANY of these symptoms, please give Red Hawk Behavioral Health a call and speak to our admissions therapist today. Red Hawk Behavioral Health will help her get on the other side of inappropriate or risky behaviors. Our team is well-trained to work with girls who are struggling with bad behavior, disrespect, legal problems, school expulsion, or minor drug use. safe, clean, healthy, and oriented to the highest quality of life. Should you need help finding schools for troubled youth, alternative boarding schools, homes for boys or private boarding schools, please let us know. Red Hawk specializes in counseling for troubled teens and out of control teens and especially work with Oppositional defiance(ODD), Depression/Anxiety, RAD girls and adopted girls with emotional disorders. If you are searching for residential treatment centers for difficult girls, troubled youth homes, troubled teen therapy or therapeutic boarding schools, you have found one. As a top therapeutic boarding school, Red Hawk Behavioral Health may also be considered a “school for troubled teens”. Red Hawk Behavioral Health’s all-girl school provides troubled pre-teen and teenage girls with counseling and adolescent therapy. The therapeutic residential school and home for troubled girls serves at-risk teen girls from homes in Arizona, Utah, Nevada, New Mexico, and California, in the Southwest, and Oregon, Idaho, Washington State and Montana in the Pacific Northwest and Northern States. Red Hawk is a well-rounded holistic program with an intense clinical focus, program that facilitates living and growth in all areas of the young women we serve.